Museum of the City of New York! 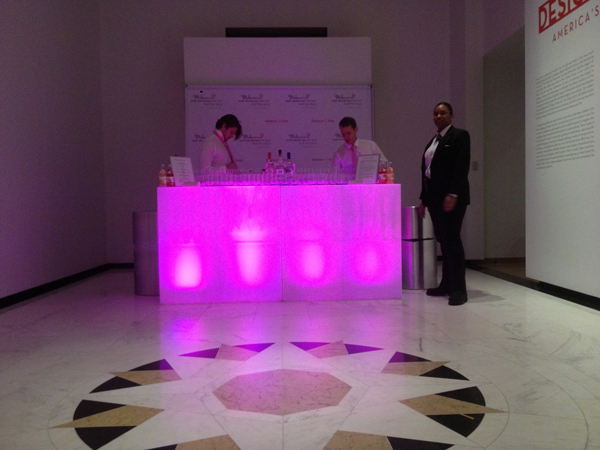 DJUSA provided the sound production and lounge decor for the Illuminate 2013 charity event at the Museum of the City of New York. It was an unforgettable night hosted by the Glamour Gals, a nonprofit organization responsible for inspiring and organizing teen girls to make change in their communities. The event was held in support of the GlamourGals Foundation, Inc. and was an evening of cocktails, dancing, live and silent auctions, and entertainment. 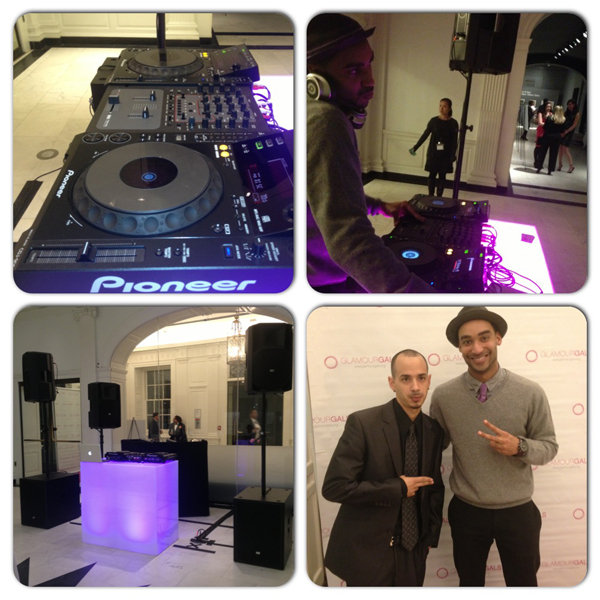 Music was featured by DJ Zeke Thomas (son of NBA player Isaiah Thomas), the shining star of NYC! DJUSA thanks Kavita Mehra for making it happen! Check out pics from the Illuminate event! 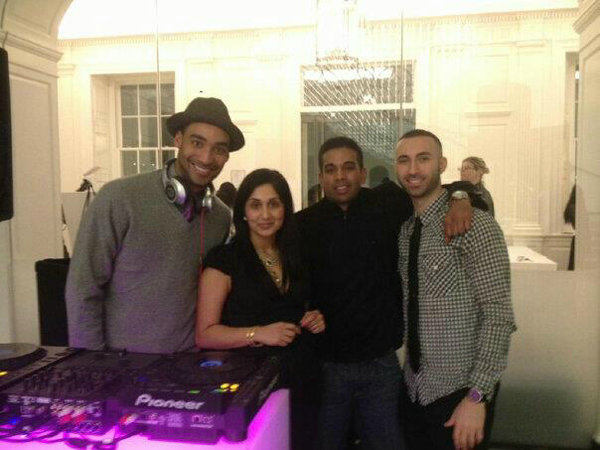 Left: DJ Zeke Thomas, DJUSA Sound Technician Rich Leon and the full DJ rider; Top Right: DJ Zeke Thomas, Kavita Mehra of GlamourGals, SM Event Group's Manu Mathew and Edward Jamele; Bottom Right: DJUSA's LED Bars. Two All Star Parties At The Same Time! 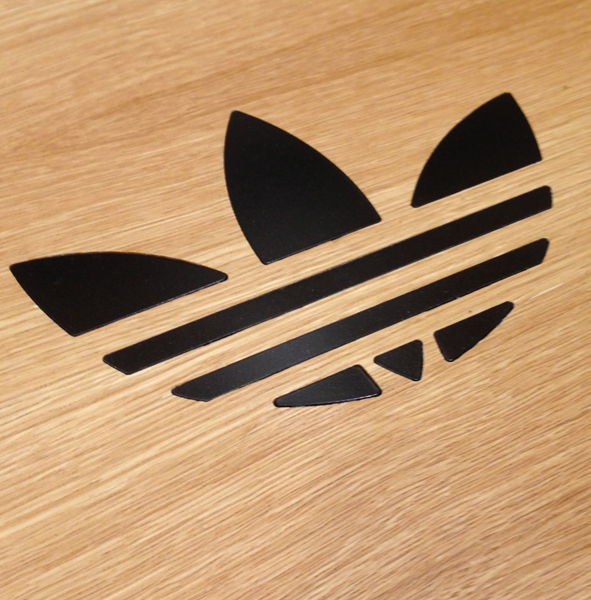 For the last three months, DJUSA has teamed up with Adidas in providing top of the line sound production in New York City and Miami. On February 14 which was the official 2013 NBA All Star Weekend, Adidas and Footaction started early by hosting a launch party for the grand opening of The Originals Collective store in the Willowbrook Mall in Houston. DJUSA was there to bring in the noise again with sound systems. The event featured appearances by Big Sean, DMC, and DJ Clark Kent. Local artists including Propain, Yves from The Nice Guys, and Shea Serrano attended this exclusive event. 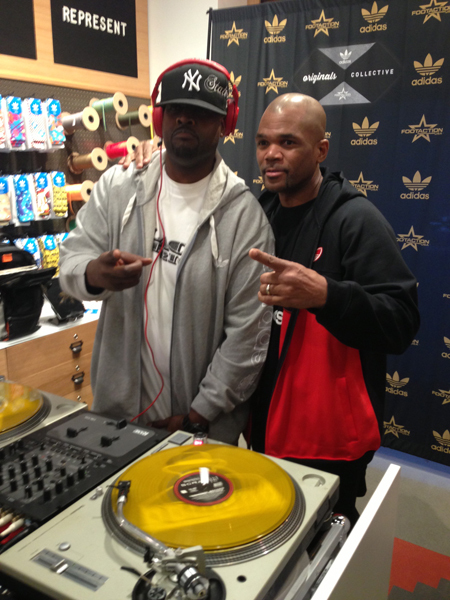 In another store in Houston on February 14, Adidas invited basketball fans to meet 2013 NBA All Stars. Fans had the opportunity to meet DMC again at the Finish Line at the Galleria Mall. Music was provided by "Heavy Hitter" DJ Mo Beatz who is well known for his partnership with Adidas and Big Sean for a remix tape based on Big Sean’s debut Finally Famous album. 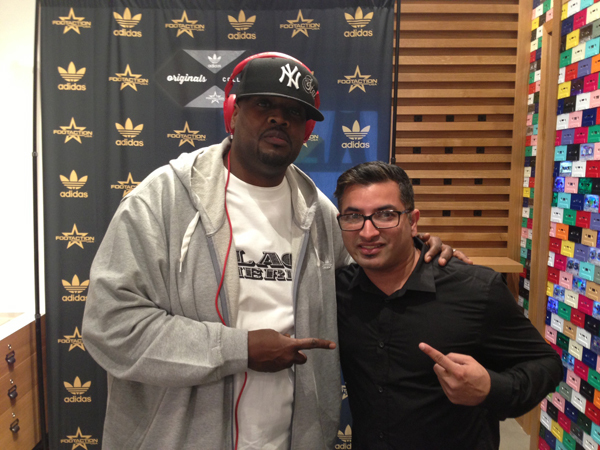 DJUSA was there to bring the noise again for two Adidas events in one weekend! DJUSA thanks our Dirty South representative DJ Scoop, Chase from Roundhouse Agency and Juice Rodriguez from Adidas marketing for making it happen. 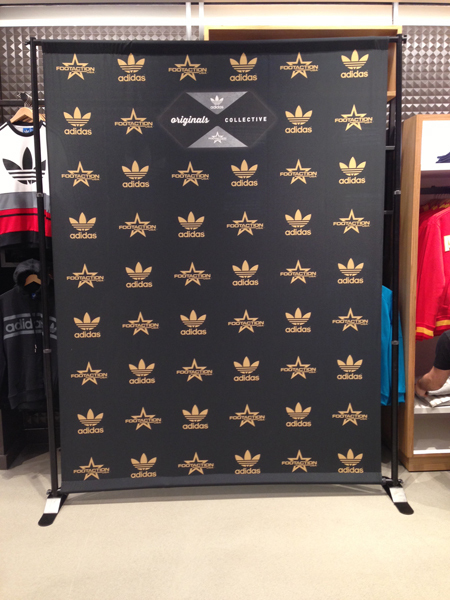 Check out pics from the Adidas event! 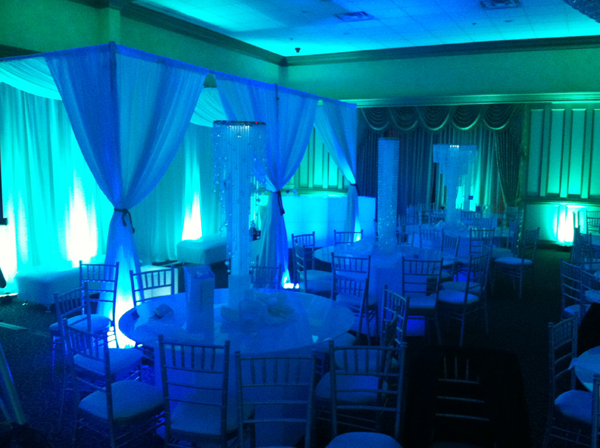 DJUSA Gets Fancy at St. John's University! 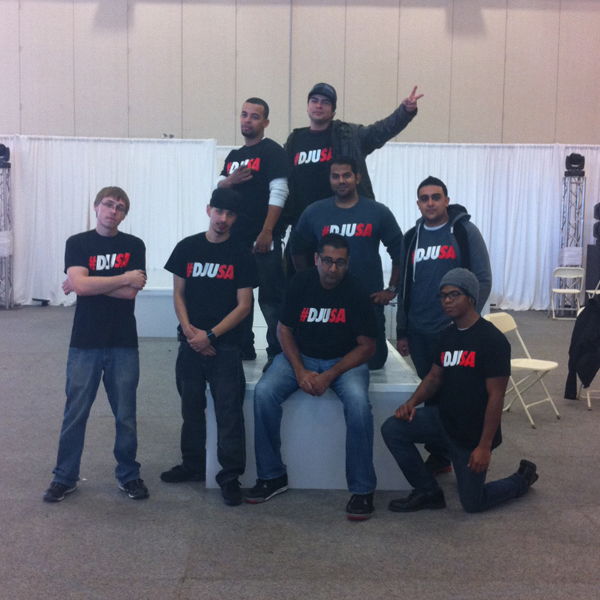 On February 15, DJUSA was on the Queens campus of St. John’s University for a full event production. 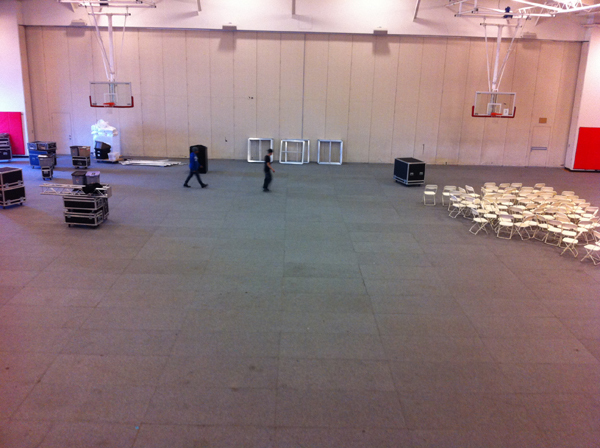 St. John’s African Student Association hosted a fashion show and DJUSA came through with a custom runway stage. 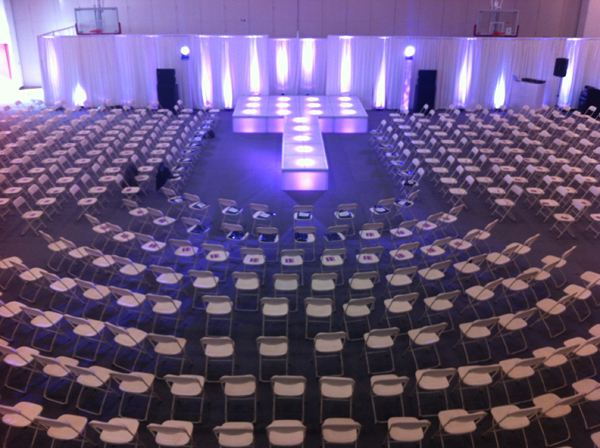 A brand new "Line Array" sound system, draping, and lighting was provided by the DJUSA team. DJUSA Rocks Atul's 50th Birthday Party! Atul will have a birthday to remember and DJUSA helped create this once in a lifetime event! DJUSA was a "one stop shop" for Atul’s 50th Birthday. DJUSA came through for the client with full event production services including sound production and lighting. Oh wait that’s not even the end of it. 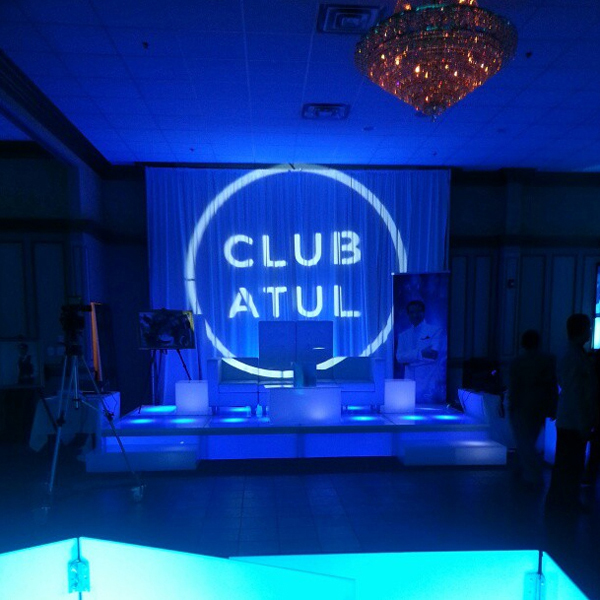 DJUSA turned this banquet hall into “Club Atul” with custom draping, centerpieces, staging, bars, and cabanas. DJUSA’s DJ Sharad and MC Marco rocked the crowd making it a 50th birthday that Atul will never forget! 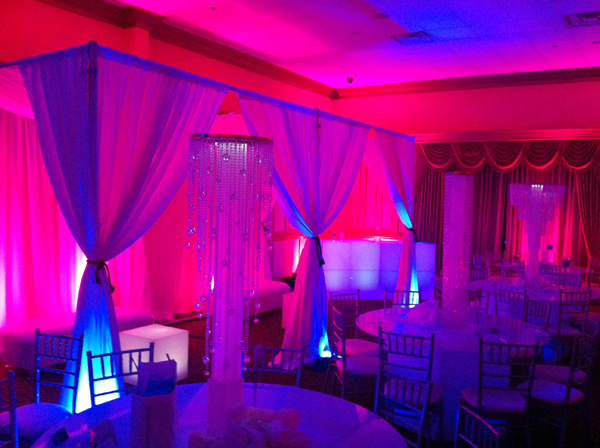 Left and Top Right: DJUSA's cabanas, centerpieces and kinetic lighting in action; Bottom Right: Atul's custom designed gobo. 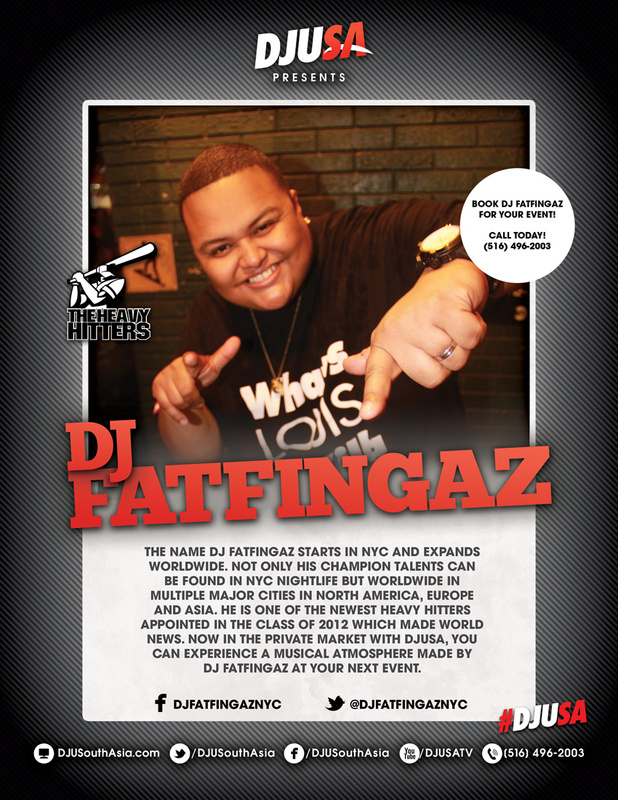 The name DJ Fatfingaz starts in NYC and expands worldwide. Not only can his champion talents be found in NYC Nightlife but worldwide in multiple major cities in North America, Europe & Asia. He is one of the newest Heavy Hitters appointed in the class of 2012 which made world news. 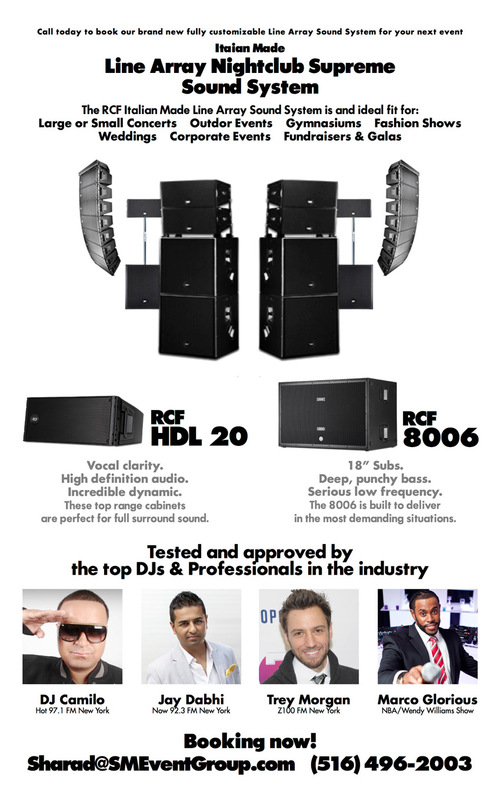 Now in the private market with DJUSA, you can experience a musical atmosphere made by DJ Fatfingaz at your next event. I loved music as a kid and my mom allowed me to shop for records. Growing up, I watched video music box and eventually MTV Raps. My passion for music started to grow, and I became interested in vinyl records. I began spinning using my grandmother’s turntable. I was also influenced by a neighborhood DJ who taught me how to spin. My first gig was in my neighborhood. It was a house party around the corner from my house. People got to know me because I blasted music real loudly! Tell us more about your experience as a Heavy Hitter and learning about the industry at Hot 97.1 FM. I recently joined the Heavy Hitter family. After going to the Hot 97.1 studio, I have the opportunity to watch other DJs and see how artists interact with the station. Even after leaving the station as an apprentice. I'm still star struck! 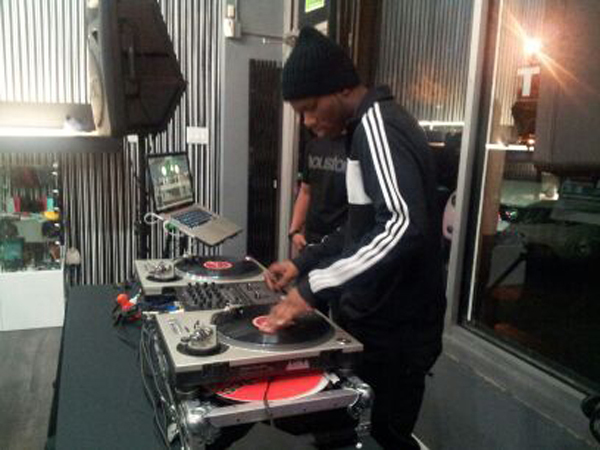 Radio DJing is imaginable and I hope to get on one day. How was your Tour in 2012? In 2012 I travelled heavy across the globe on a tour mainly in Asia and Europe. It was a breakthrough year for me. In Asia, I visited 16 cities and venues all in 3 weeks including Shanghai, Bangkok, Japan, Taiwan and Malaysia. 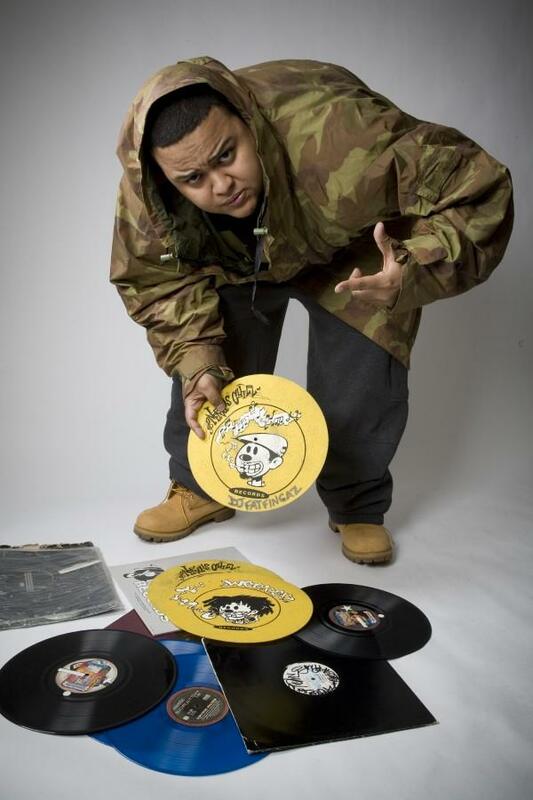 I was mainly deejaying at clubs and on the radio and received a lot of hype as a Heavy Hitter. I got a lot of love from the locals and in return provided them with powerful performances. It was really an awesome experience because everything goes so fast and there is so much energy in Asia. The European tour was real soulful and visited Poland, Switzerland, and Germany. 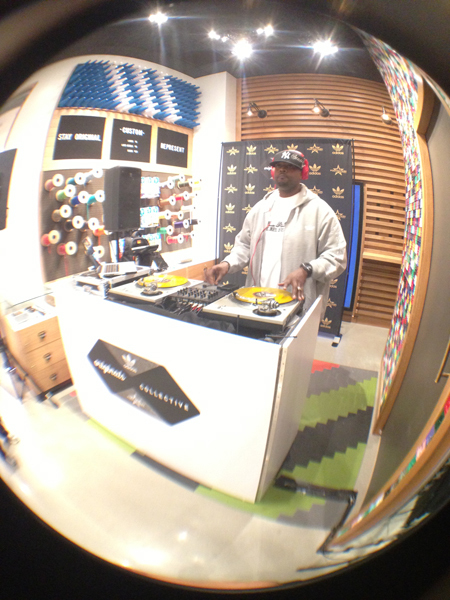 I played a lot of house music, open format (mix of hip hop, house, pop, R&B, reggae). So what was your favorite city on your Asia tour? I really liked Bankgok because the club scene reminded me of NY. It was like the vibe you see in NY at Marquee, Crimson, or Greenhouse with tons of hip-hop and top 40 hits. Spinning in Bangkok felt like home! To top it all, my friend DJ Buddah who is originally from Queens now runs the Bangkok scene. I’m not on tour this year because I really want to focus on the NY scene, but I definitely would like to experience more countries. Most likely I’ll hit up Asia again later this year through my Lafayette Clothing sponsorship. Why do you like deejaying private events? I originally came from spinning private events before I got into the club scene and joined as a Heavy Hitter. When I was a teenager, I worked the turntables at Sweet 16s. Private events are the reason why I’m so vocal as a DJ and hosting events. Why did you select DJUSA as your private booking agency? DJUSA is unique because they bring the nightlife element to private events, which is essential. I also decided to work with DJUSA because I’ve known DJ Sharad for many years. Sharad and I have crossed paths several nights when spinning at NYC clubs like Tunnel and Sound Factory. We would be in the same club spinning in different rooms. What are your thoughts on your first DJUSA party coming up in a few weeks? I’m so excited to be the DJ for a private event for DJUSA. It is going to be the most amazing party ever because the client requested a tribute of Notorious BIG’s music. My favorite artist is Kanye because crazy knows crazy!